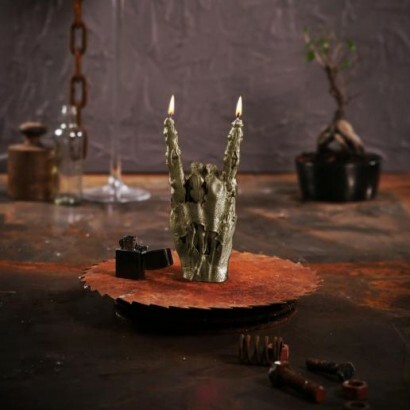 The walking dead's got nothing on this rocking candle that is eternally held in the classic rock symbol, flesh rotting to reveal the skeletal fingers and sinew within. 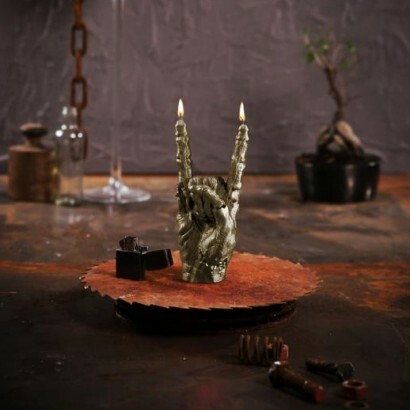 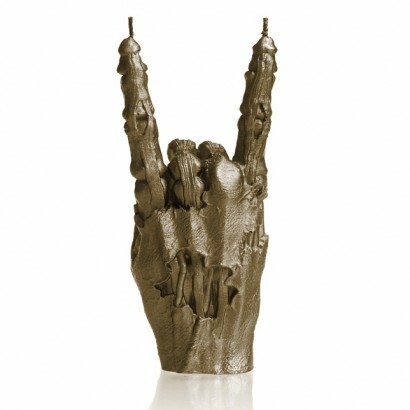 Long have the undead been immortilised in heavy rock symbolism and this impressive hand candle captures all that is rock and roll in one creepy gesture! 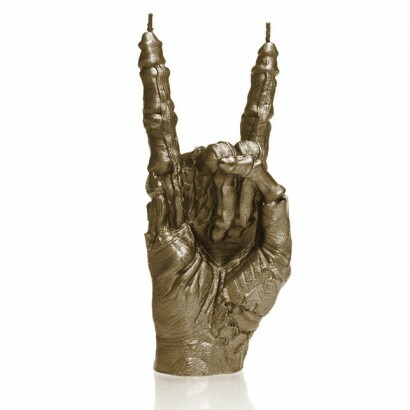 Each of the fingers are wicked so that this metallic brass candle has a double burn, and based on a large human male hand, the substantial size gives approximately a 30 hour burn time.